The cat and mouse games of Tom and Jerry have been around for many, many years. My children have just discovered these classic cartoons. 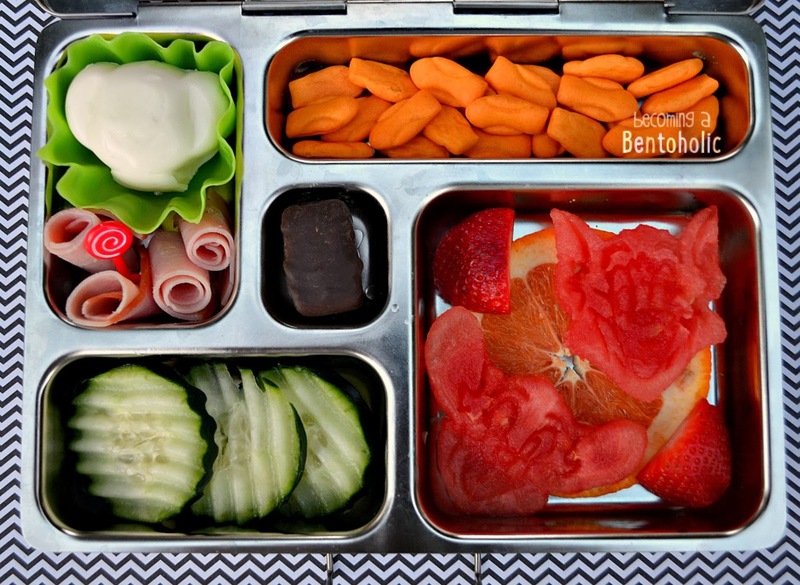 In this lunch: "Jerry" hard boiled egg, ham rolls, Trader Joe's cheddar rocket crackers, orange slice, strawberries, "Tom & Jerry" watermelon, crinkle cut cucumber slices, and a Trader Joe's mango coconut chocolate. If you live in the UK you can stop on by your local McDonald's and order a happy meal and these fun bento tools are the toys inside. Unfortunately, they are not available in the USA (which made me want them sooo much more). 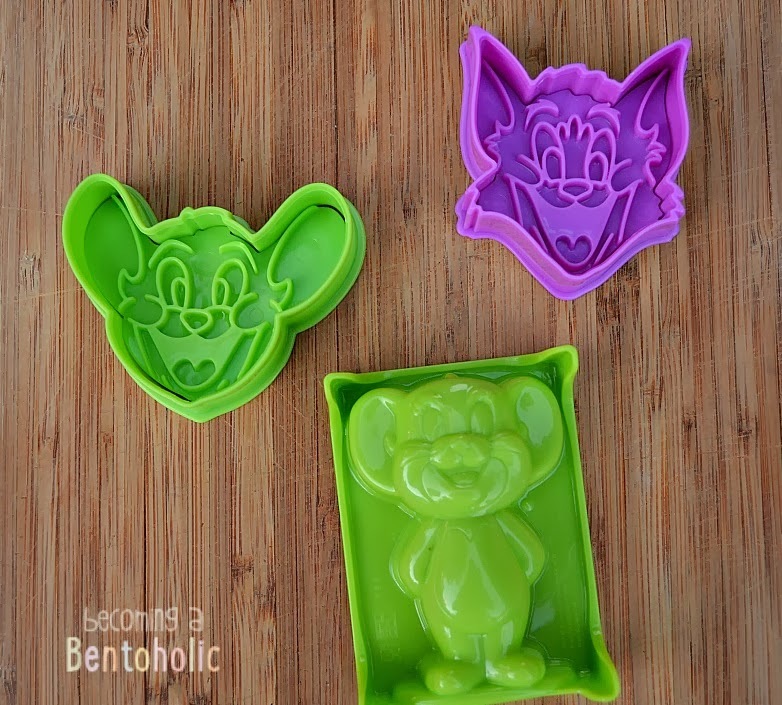 I was able to buy the Tom and Jerry cutter and Jerry popsicle mold off eBay.